Eat My Asparagus: We Grew Popcorn!!! 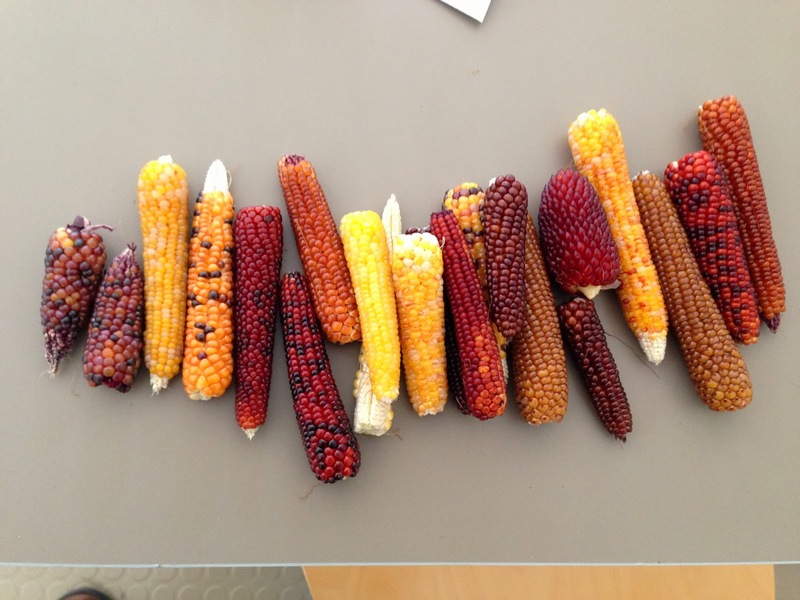 Yes, I realize that looks like Indian Corn (the decorative stuff people buy to put on their front doors and porches), but really and truly...it's popcorn. See? We popped it! By the way, if you're gong to pop a whole ear of corn on the cob in the microwave, you should probably put it in a paper bag first. Don't ask me how I know that... And no, it wasn't me. We actually planted only two varieties: A "strawberry" red variety and a plain old yellow variety. However, corn cross-pollinates as it grows and the two varieties planted in such close proximity produced all the colors you see in the photo above. Pretty cool, huh? 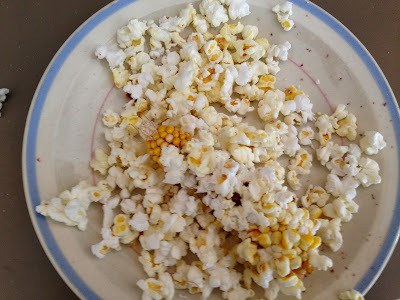 Of course, it all pops-up into white fluffy stuff that's much tastier than commercially available popcorn.